Brampton on 16th July 1976. 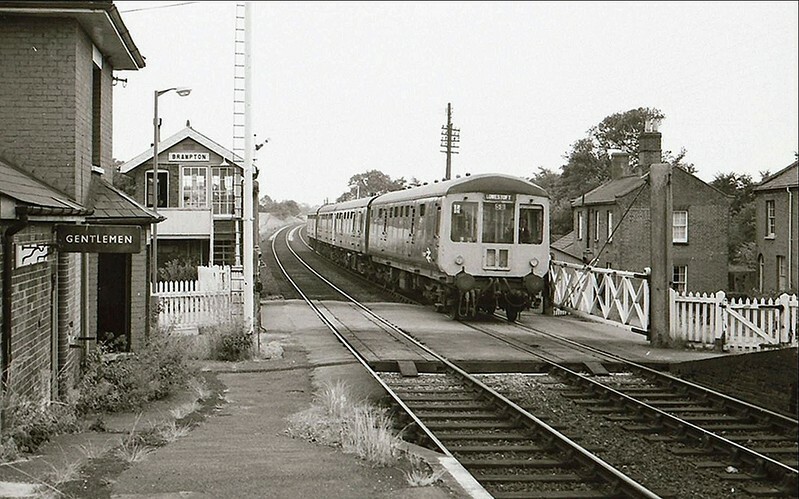 A Gloucester RCW dmu is arriving on an Ipswich to Lowestoft working. The now demolished station house is to the left.